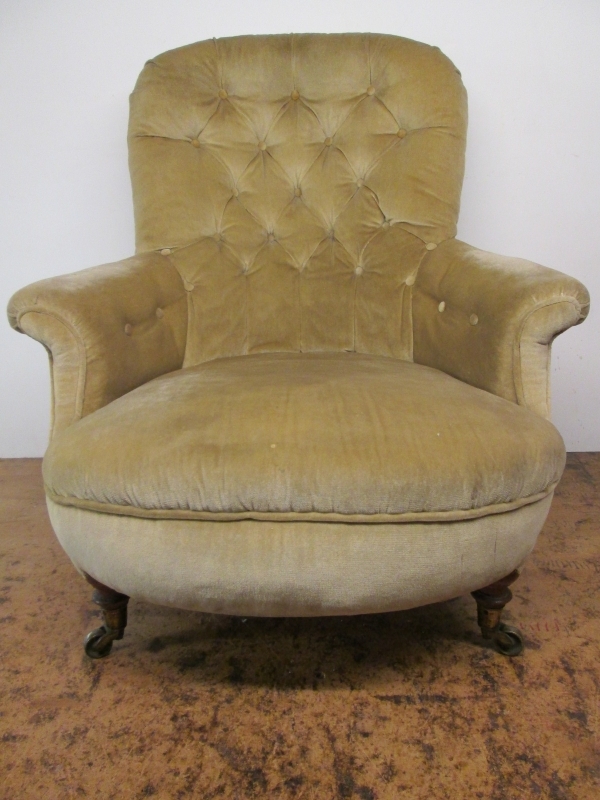 Super quality Victorian period fully upholstered armchair. Although in need of restoration, this particular chair has all the attributes required for an excellent pre-restoration example. The legs are made and turned from solid walnut, the rear legs being of the out swept form, whilst the front are hand turned to fit the original brass socket castors. 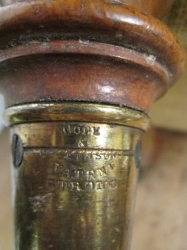 Cope and Collinsons patent name is engraved on the castor socket cups. 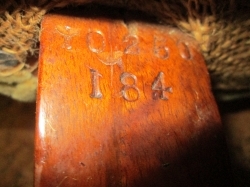 Another great feature for this quality chair is that the makers registration mark is clearly visible on the left rear leg 10250 184. 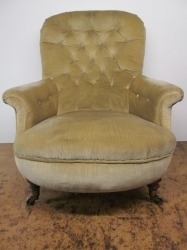 A fantastic project which would look amazing wearing new fabric. Please give us a call on Oxford 767522 to discuss all pricing options. 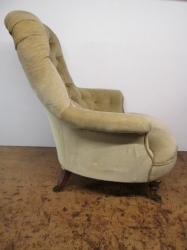 Dimensions - height 94 cms, width 83 cms, depth 91 cms.